Just like how I carefully watch what I eat recently, I am more conscious of what I put on my face because I got skin problems (my skin keeps drying recently) due to my sickness, bad weather in town and my packed schedules (it's a lack of taking care my skin), and I can't hide the fact that my skin keeps being exposed to daily environmental challenges; area pollution, UV rays, environmental pollution, temperature fluctuations, recent oil accident that happened in Balikpapan resulted my skin loss of hydration and caused various skin issues such as dull skin, dry skin, fine lines and so much more. I don't want my skin look much older than my age. Therefore, a right skincare regimen that has a good hydration range is important to keep my skin stay hydrated. 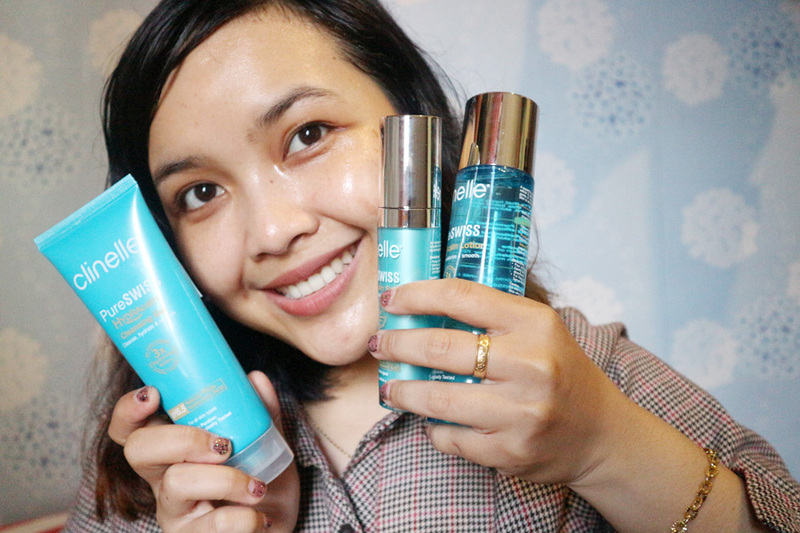 I received these Clinelle PureSwiss Hydracalm from Clozette Indonesia, I was super excited. 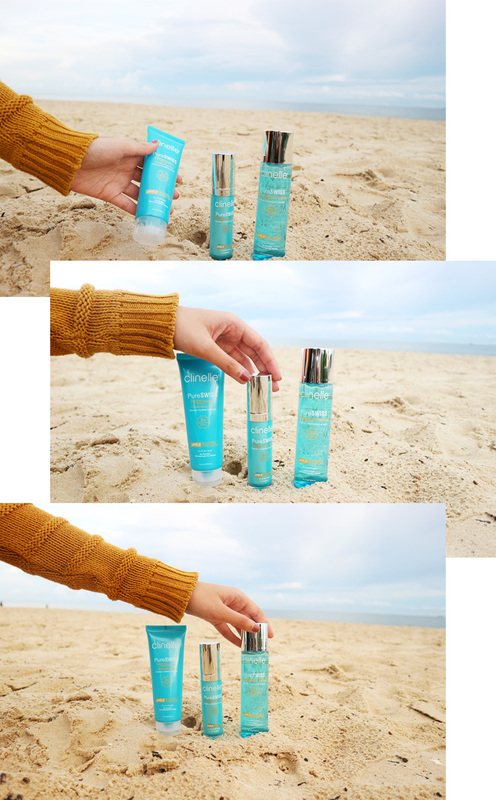 These products claim to lock in moisture for 72 hours, being formulated with a powerful 3X HydraCalm Action (Natural Hyaluronic Acid, Thermal Spring water and Bio Calm complex) and 7 secrets for healthier skin (for all skin type). These products have pH 5.5. Natural Hyaluronic Acid that will absorb into the skin deeper to give and lock the moisture up to 72 hours, Thermal Spring Water as the hydra booster that work instantly to help and moisturise the skin and lastly Bio Calm Complex is to calm and sooth the skin as well as to help strengthen the skin barrier. 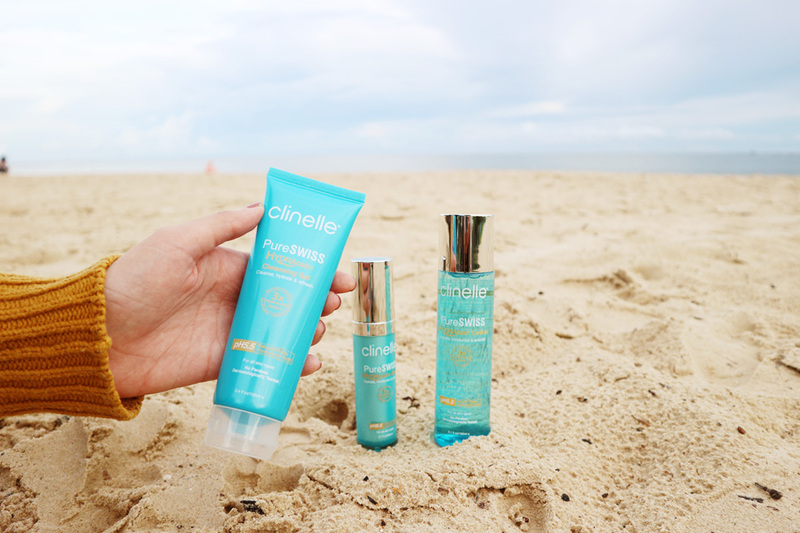 They are all dermatology tested and formulated in France, USA and Korea. Clinelle PureSwiss HydraCalm Cleansing gel: This cleansing gel will deeply cleanses & reduces excess sebum. Provides mild exfoliation for better moisture absorption and calms sensitized skin caused by environmental aggression. 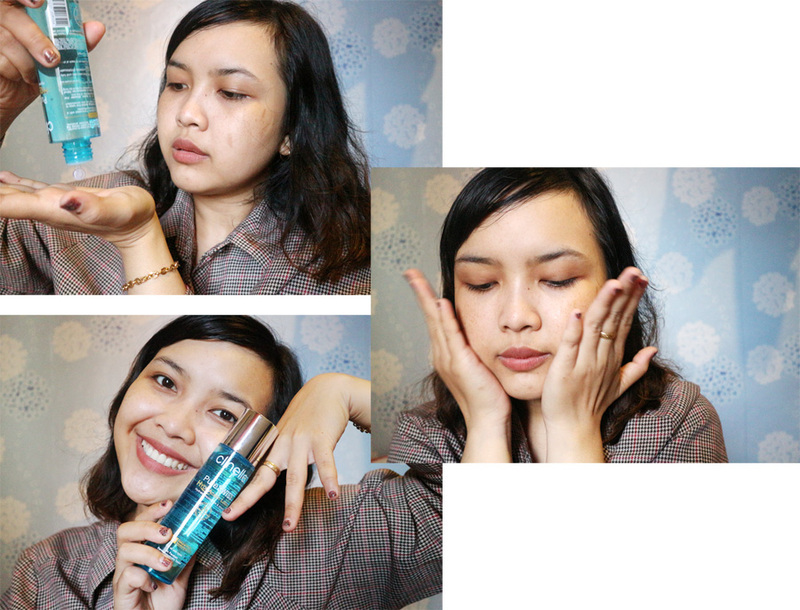 Recently I found a love for a gel cleanser because it feels comfortable on my skin. Aside from cleansing, it also refreshes and hydrates the skin. I have been using it after removing my makeup, to ensure my skin is super clean and fresh. It does a great job at removing any excess makeup. Squeeze the cleansing gel with a proper amount onto damp hands, gently massage in circular movements over face and neck. Rinse thoroughly with water. After cleansing my face, then I apply Clinelle PureSwiss HydraCalm lotion; Nourishes, refines and plumps skin while refining pores. Improves the absorption of subsequent skincare products. It is super light and almost feels like water when patting it in my skin (no sticky feeling). I saw obvious result within 5 days as it helps to reduce pore size (yes, this lotion is meant to fade away the pores). Pour a small drop on damp hands, gently pat lotion onto skin until it fully adsorb. I had no reactions or redness from using this lotion. 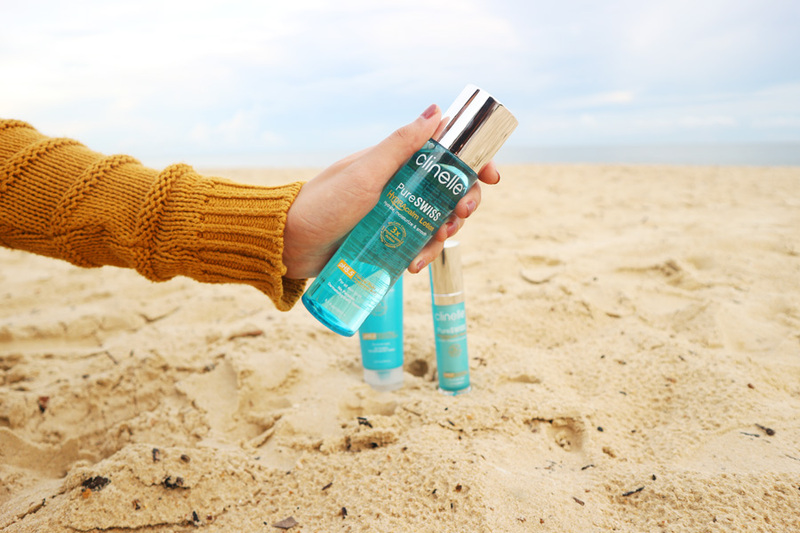 After you patted the lotion onto your skin, the next product is Clinelle Pureswiss Hydracalm Serum; provides an instant boost of skin hydration. The lightweight and non-sticky texture restores the skins barrier and reduces moisture loss. Soothing and non-irritable. This comes in a fancy glass packaging, it has a pump and the pump itself release a tiny amount of product which I think is good so that no products will go to waste. This serum absorbs into the skin very quickly, which is great so I don't need to wait. Just pump a small amount on damp hand. Gently pat the serum on your face until it is fully absorbed. 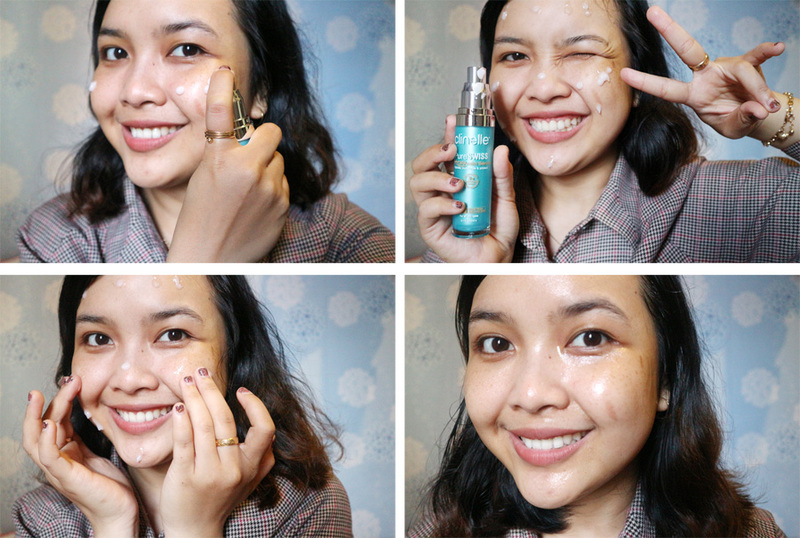 I can see an instant boost of skin hydration as soon as I applied the serum on my face. I personally love the serum very much. 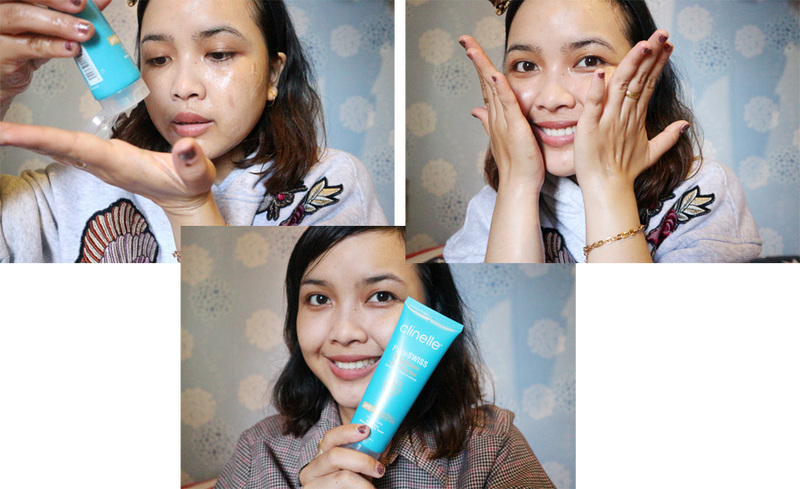 I’ve tried a lot of drug store skin care brands before that claim to be super hydrating and safe for my sensitive skin, mostly just leave me with a rash and my skin worse off than when I started but all of these 3 products doesn't irritate my skin. I dont feel any heat sensation from using it, there is not any reaction to it. I was really impressed. 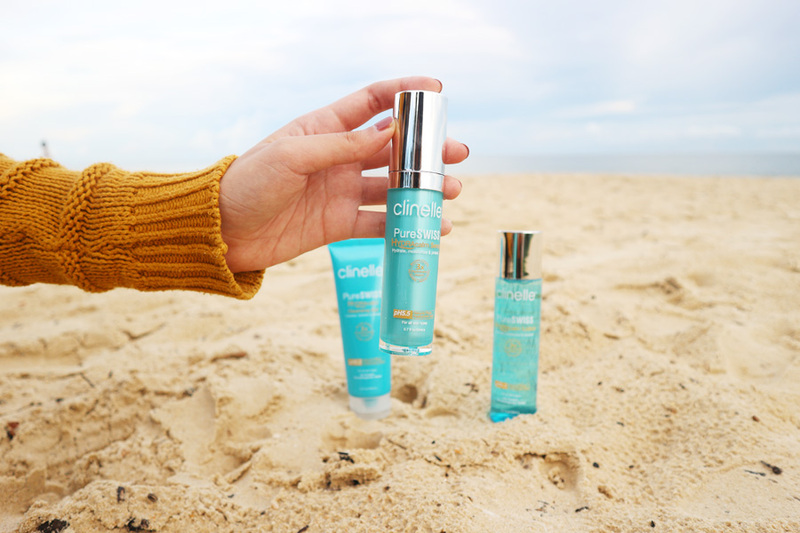 All Clinelle products has been dermatological test so we no need to worry because Clinelle products exclude harmful ingredients that can lead to skin irritation, pre-mature aging and skin deterioration.